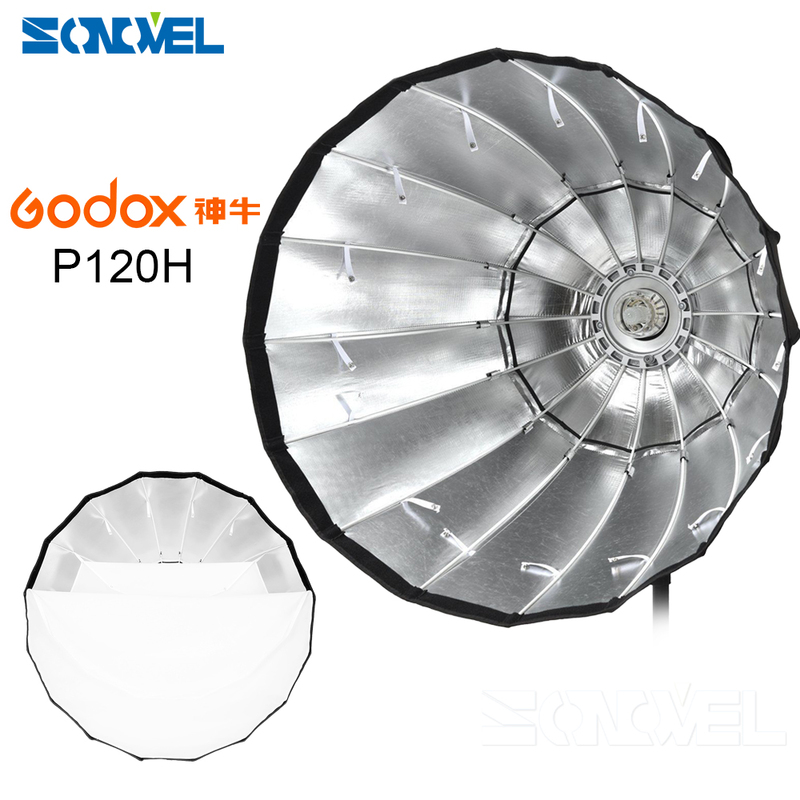 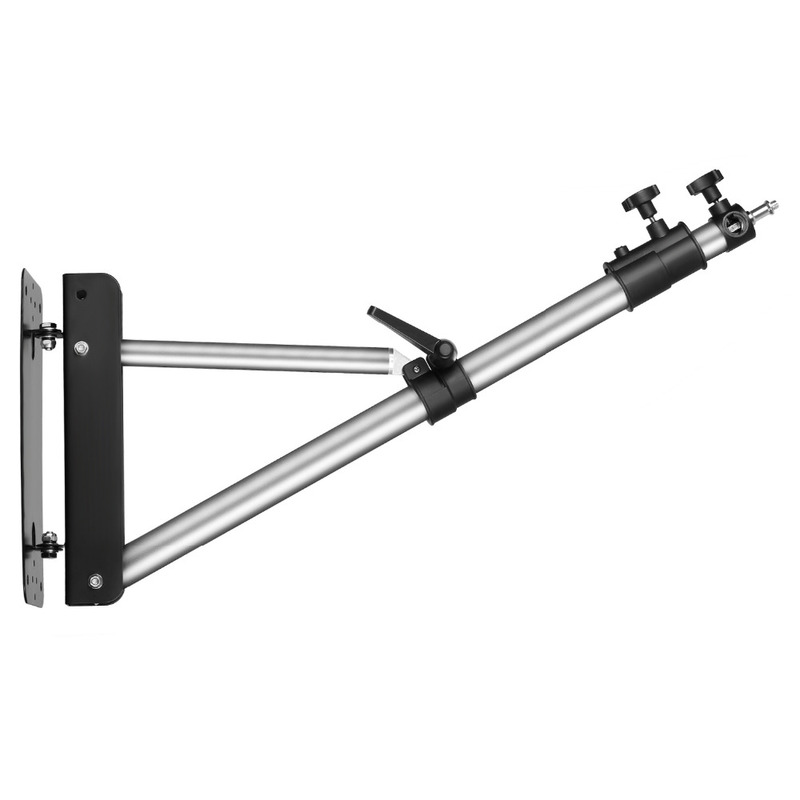 This wall mounting boom arm is perfect for supporting studio lighting soft umbrella and reflectors, etc. 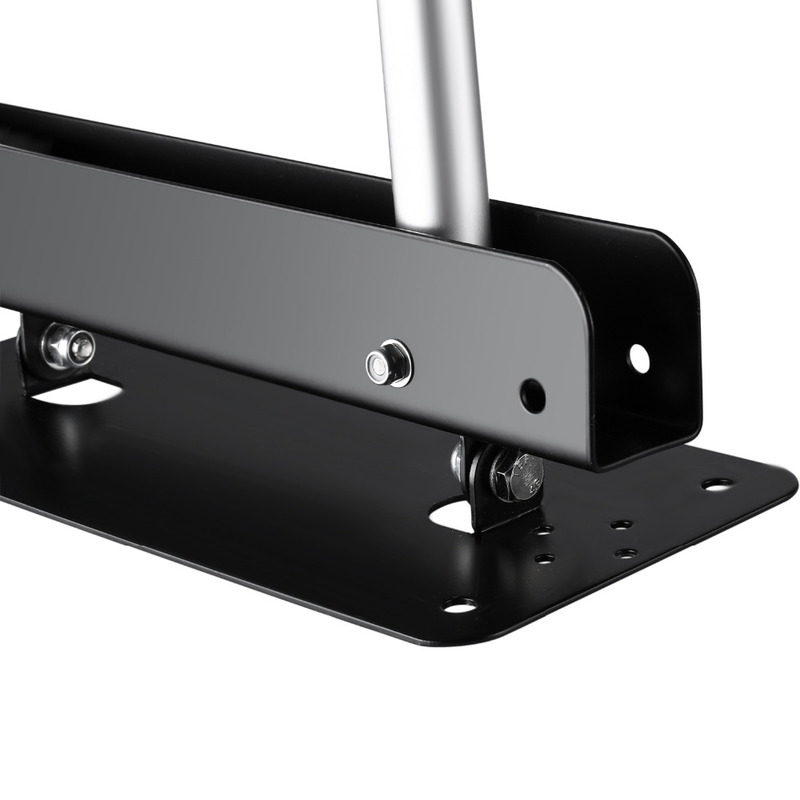 It can be fixed on a solid wall, spare more space for you. 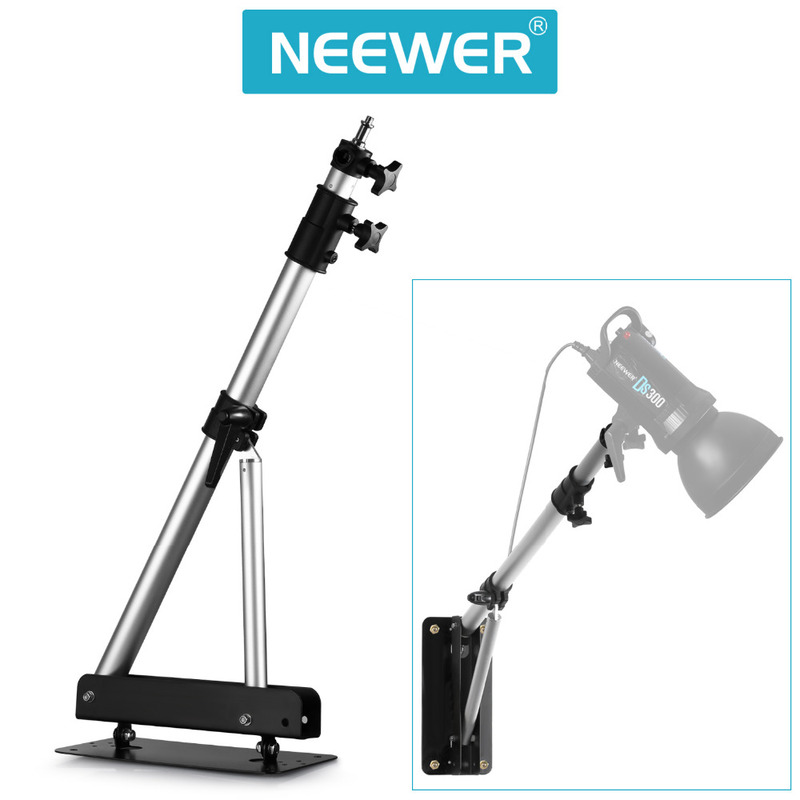 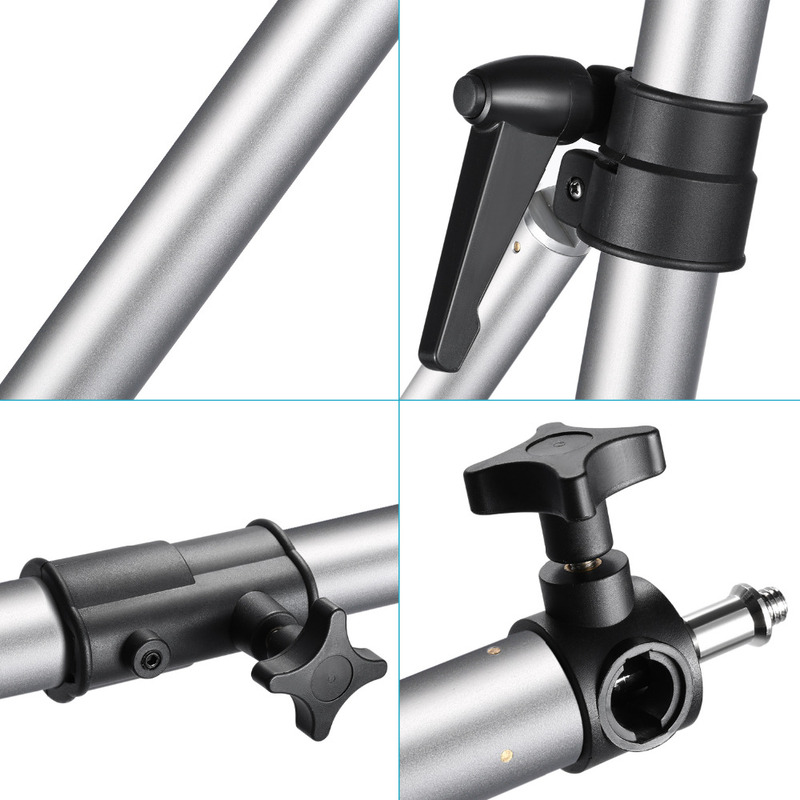 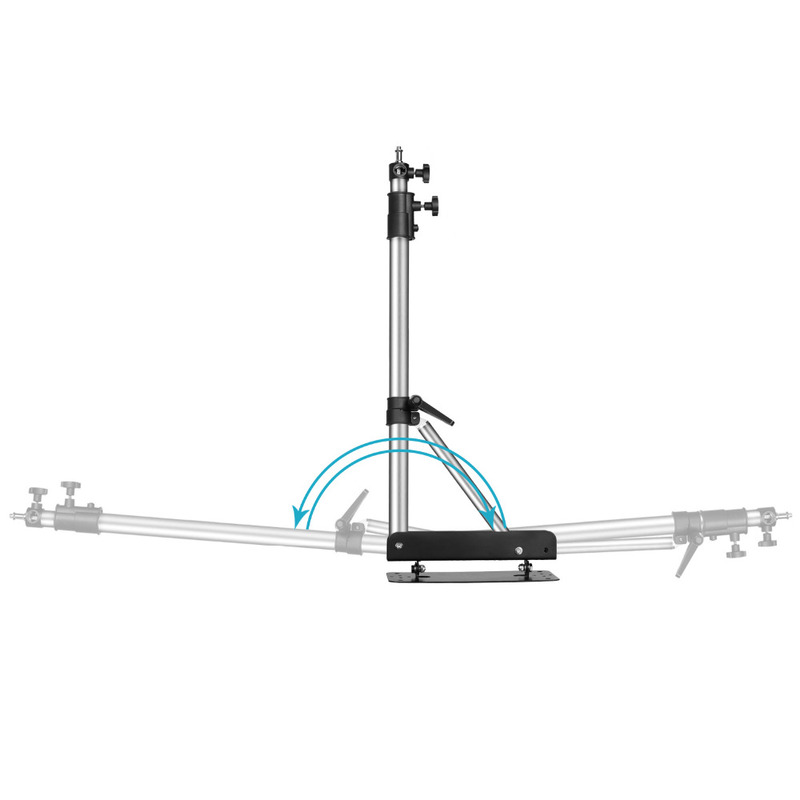 The boom arm can be rotated up to 180 degree, so you can adjust its angle and height synchronously. 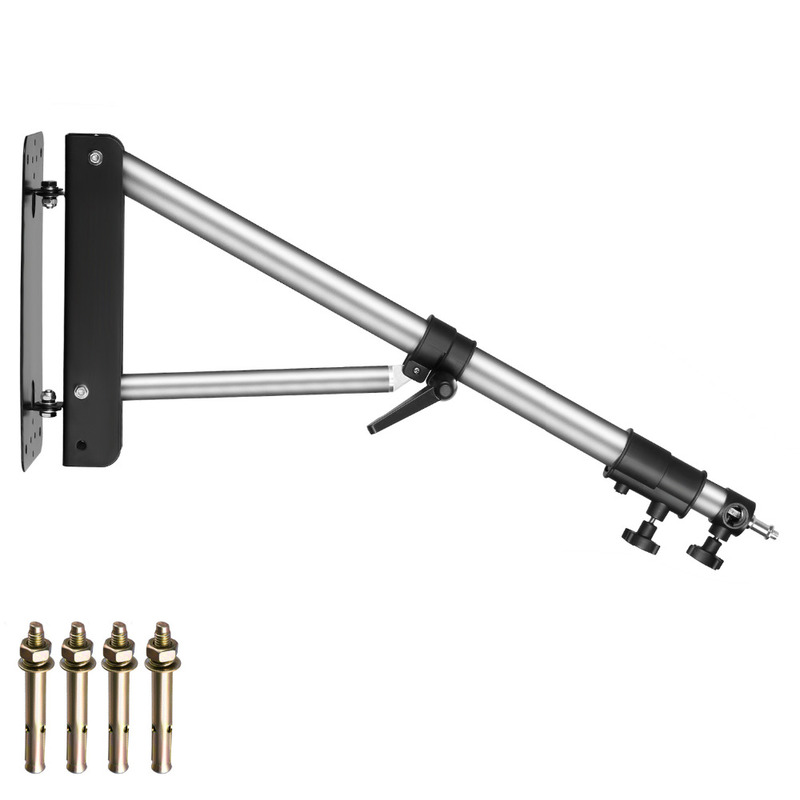 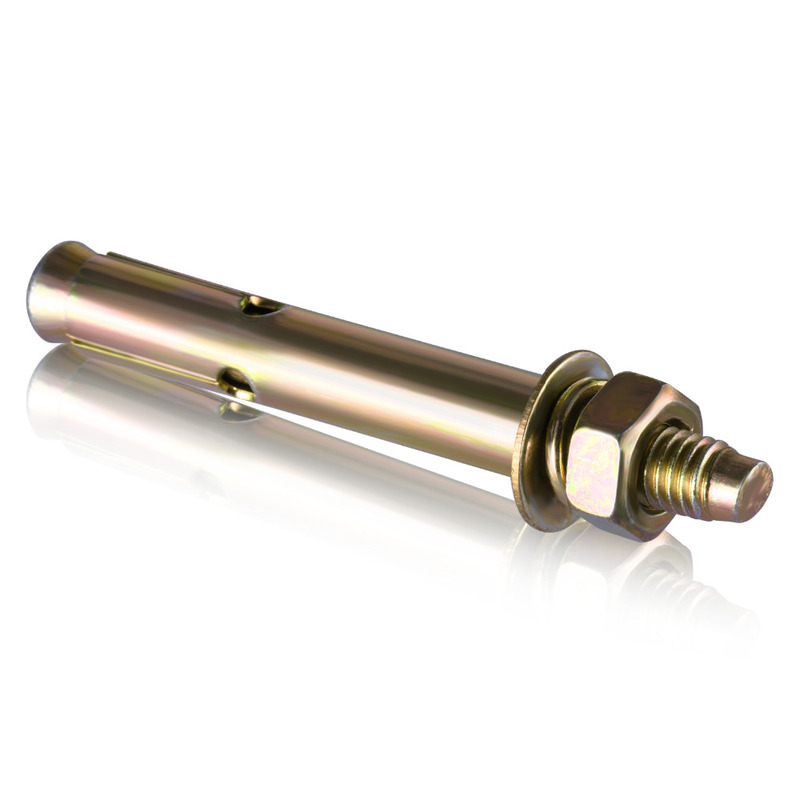 Comes with 4 pieces expansion screws, helping mount the boom arm on the wall much solidly. 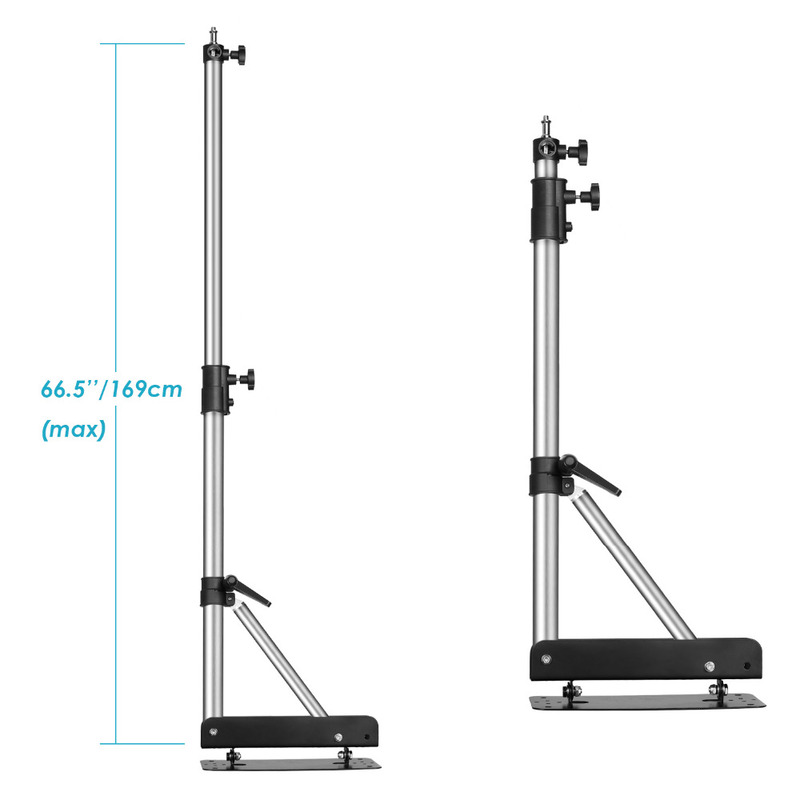 The triangle base design adds its stability.